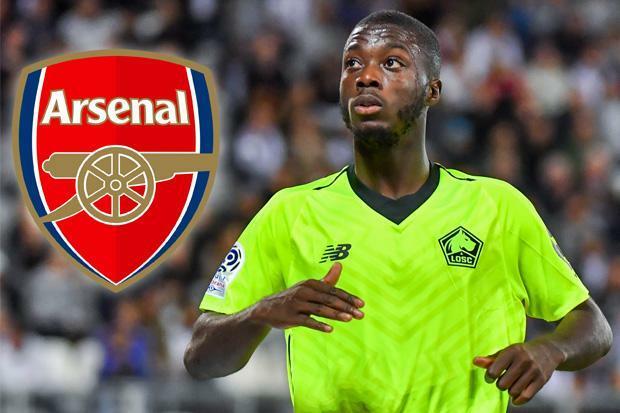 Arsenal are reportedly lock horns with Barcelona and Bayern Munich to the signing of Lille winger Nicolas Pepe. The Ivory Coast international has been in scintillating form for Lille this season has grabbed 11 goals and five assists. Barcelona are looking at the 23-year-old, who has scored nine goals in 15 games. But according to Mercato365, Arsenal are keen to push forward with the transfer for the summer of 2019. It is understood Bayern Munich have targeted the winger as a long term replacement for Arjen Robben, whilst Barcelona have also reportedly expressed an interest in the winger. Pepe has a contract until 2022, and he’s scored nine, assisted six and won a couple of penalties in 16 appearances this season, so it’s no surprise his value is skyrocketing. Be the first to comment on "Arsenal face stiff battle in signing in-form 23 y/o Barcelona target"